Each biscuit is made of ginger flavored shortbread. According to the extensive research I did by reading the back of the box, the shortbread is is baked with preserved ginger stems and fresh creamery butter (As opposed to old creamery butter? Or stuff hawked by Fabio? 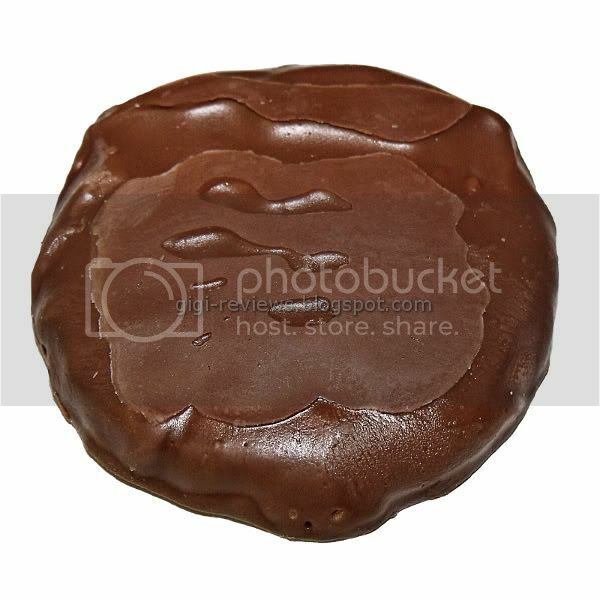 ), and then the biscuit is enrobed in dark chocolate. So far, so good. There is no mistaking that there is ginger in the cookies. There are little bits of candied ginger sprinkled throughout the shortbread. I have to give Walkers points for going with ginger that has fire and bite to it. The ginger really stands up for itself. I love strong, hot ginger, and it was nice that Walker's didn't wuss out and go with something more sweet or mild. The chocolate looks darker on the box picture than it does in real life, but it has a nice rich flavor to it. It's a little waxy at first...but it does look glossy and it melts well. 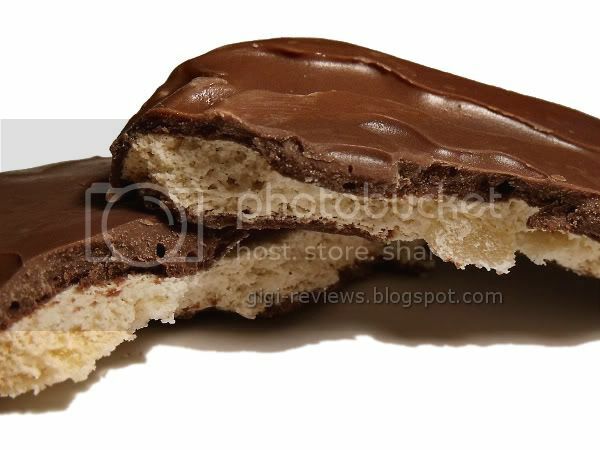 The shortbread biscuit is buttery and flaky. No matter what Walkers may add to, or top the shortbread with, the shortbread itself is always stellar. 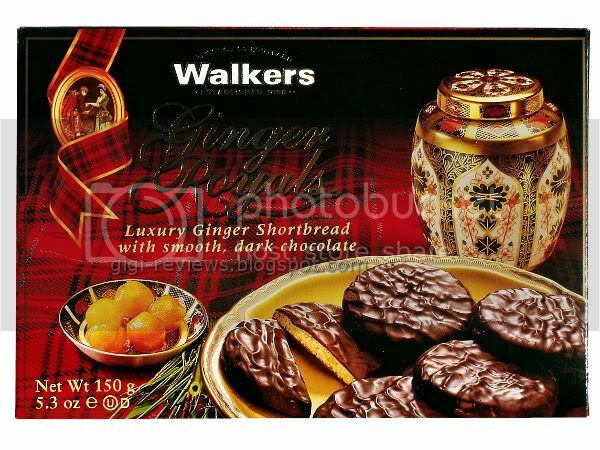 I really loved these biscuits. 130 per 2 cookie serving. Kosher. Contains milk, soy, wheat, and gluten. Not suitable for people with nut allergies.